A facelifttakes care of your sagging cheeks and jawline and restores a firm, lifted and youthful appearance that you desire once more when time and age start taking a toll on your looks. A facelift gives you skin that’snot only tight and lifted but also smooth and glowing. Traditionally facelift was performed through surgery which involved a long recovery time and gave unnatural results. So not many people opted for it. But now-a-days, a facelift can be performed quickly and conveniently, in a dermatologist’s clinic, without going under a knife!It’s not surprising, therefore, that it’s the fastest growing aesthetic procedure worldwide. 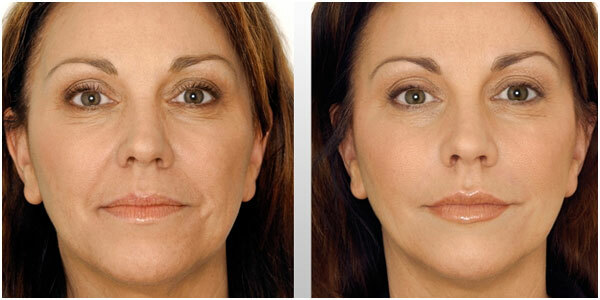 Thesefollowing non-surgical facelift options are available for fabulous, yet natural results. It is one of the most sought after facelift treatment due to its convenience, natural instant results and no visible tell-tale signs of having it done. It’s a lunch time procedure which does not need any recovery or healing time. Too good to be true, isn’t it!No wonder more and more people are going for it and look amazing, instantly. Your face is first assessed and then a plan is suggested for you. It is performed through injection of botox and fillers through very tiny needles. It instantly lifts your sagging cheeks and jawline. That not only takes away the old, tired and sad look but also brightens your skin. All in all it restores your youthful appearance and gives your confidence back. It can be performed for people in their 30s to 60s. This treatment can be done even if one is young to augment certain areas like cheeks and lips, slim the jawline,make the face more attractive and correct flaws in facial features if any. This is one of the latest popular treatments which is used to erase the signs of ageing, remove wrinkles and lift the face. Growth and stem cell factors stored in the platelets of your own blood are used to regenerate the collagen and tissues of your skin. All it needs is around 10 ml of your blood (the amount taken for a routine blood test). This is then prepared in a sterile hygienic method to give platelet rich plasma.That is then injected on the face with very tiny injections after numbing the skin. A series of 3-4 treatments helps to gradually achieve the desired result. Thread Facelift is a good alternative to surgical facelift treatment. Bio-degradable and absorbable threads are used, which are inserted in the skin with the help of an extremely thin needle. The natural facial contours remain intact and the sagging loose skin is lifted, giving a firm, lifted look. It also improves the skin texture, can be used to narrow the jawline and take care of double chin. Nowadays energy of laser beams, radiofrequency and ultrasound is being harnessed to stimulate collagen in the depth of skin which helps to lift the sagging tissues. It is the best alternative to a surgical facelift since there are near perfect results with a quick procedure and no downtime. The effects become visible gradually over 3-6 months as new collagen forms and tightens the skin. After knowing about all these exciting and effective options, if you are considering to get a facelift procedure done, get in touch with an expert who will answer any further doubts and concerns you may have. After assessing your skin they will help you choose the best option for you and guide you through the entire process. At L A Skin, we evaluate your skin and suggest the best possible treatment for your wrinkles and sagging skin, so that you can get your youthful glowing skin back.